Boston Handmade: Rockin' New Job! 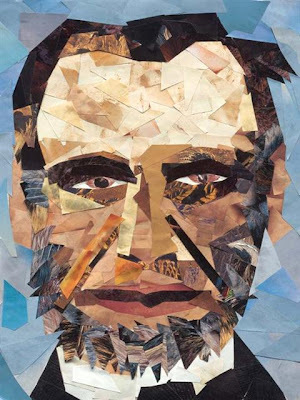 By Merritt Kirkpatrick of Not Without Merit, Inc. I started a new job this week and it rocks! 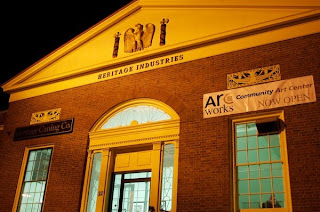 In March, Arcworks Community Art Center opened in downtown Peabody, Mass and I am now the director of the center. 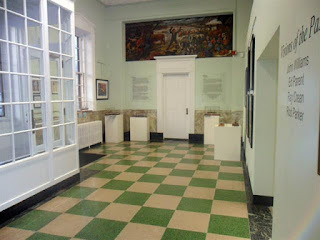 Located in a converted post office building we have classroom spaces, studio space, a gallery and a shop featuring work by local artists and crafters. As director, my dream is to have many of you come teach classes, sell your work in our shop and participate in exhibits and shows. Currently, I am working on a leather art show, which will showcase art that includes leather, not art that is only leather. In the future, we are going to feature a trashion show, a garden club collaboration, an animal themed show, and the list goes on and on…. All suggestions are welcome! We are looking for instructors in almost any medium, including ceramics (we have a ceramic studio), weaving, sewing, painting, printmaking, etc. The sky is the limit! Of course you will be paid for your time and hard work, and on top of that, you get the joy of teaching someone how to make something for themselves! We are also looking for arts and crafts by local folks to sell in our shop. If you are interested, please let me know. The Center is governed by Northeast ARC, which is dedicated to providing lifelong individualized support to people with or at risk of developing disabilities and their families ensuring opportunities to choose and realize their goals of where and how they learn, live, work, socialize and play. With this in mind, our classes are all-inclusive, serving our clients as well as the general public.